You have added A Stitch In Time Southwestern Pattern Dress in Navy into shopping cart. FINAL SALE. 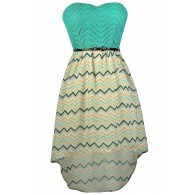 This adorable dress comes in two color combinations for you to choose from. It features a stitched southwestern design at the bust, giving it a laid-back boho vibe. The A Stitch In Time Southwestern Pattern Dress is fully lined. It has a strapless sweetheart neckline and an empire waist. The red, navy, and ivory needlepoint designs at the bust contrast with the fabric piping that perfectly matches the flowy skirt, tying this whole look together. An exposed back zipper completes this dress. 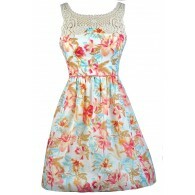 The A Stitch In Time Southwestern Pattern Dress is perfect to wear casually with flat sandals or wedges. You could also dress it up with heels or pumps. Details: Fully lined. Exposed back zipper. 70% silk, 30% polyester. Contrast: 100% cotton. Lining: 100% polyester. Hand wash cold water separately. Color will bleed. No bleach. Hang to dry. Small measurements: Length from top of bust to hemline: 28". Bust: 30". 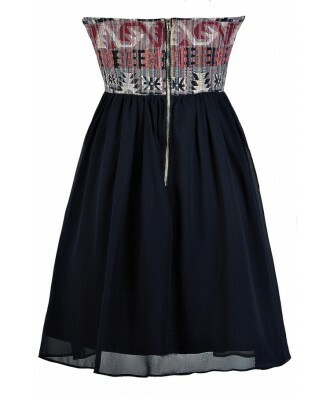 You have added A Stitch In Time Southwestern Pattern Dress in Navy into Wishlist. 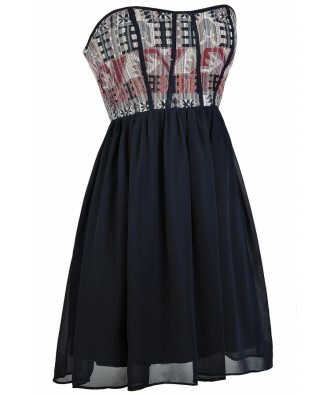 You have added A Stitch In Time Southwestern Pattern Dress in Navy for Stock Notification. 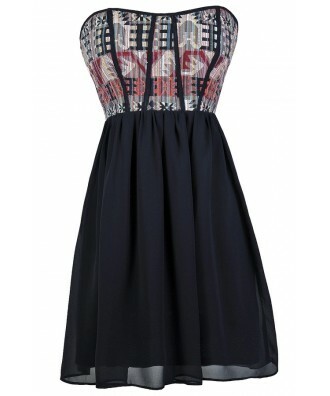 You have set A Stitch In Time Southwestern Pattern Dress in Navy as a loved product. 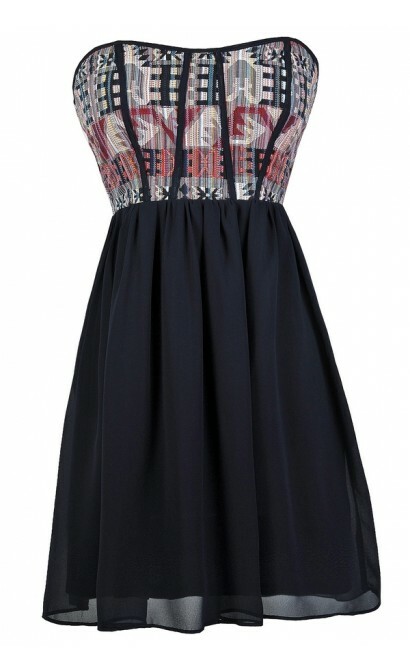 You have removed A Stitch In Time Southwestern Pattern Dress in Navy as a loved product.